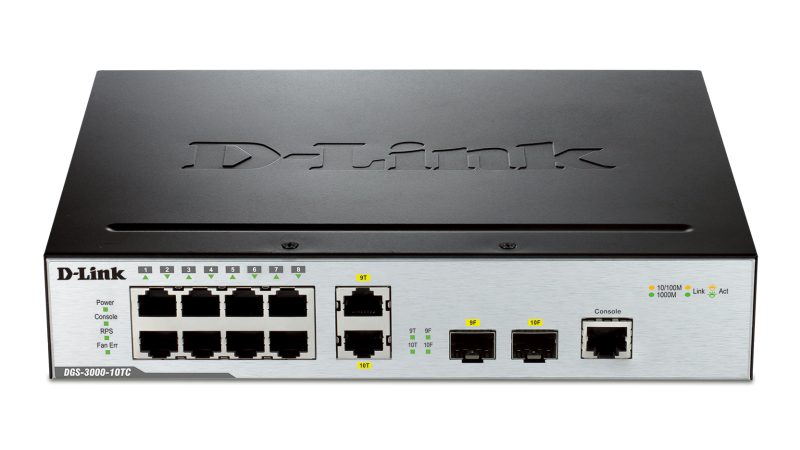 The DGS-3000-10TC is a small and compact, yet fully managed, 10-port, Layer 2 Ethernet switch. It provides wired Gigabit speed access for campus and metro networks. 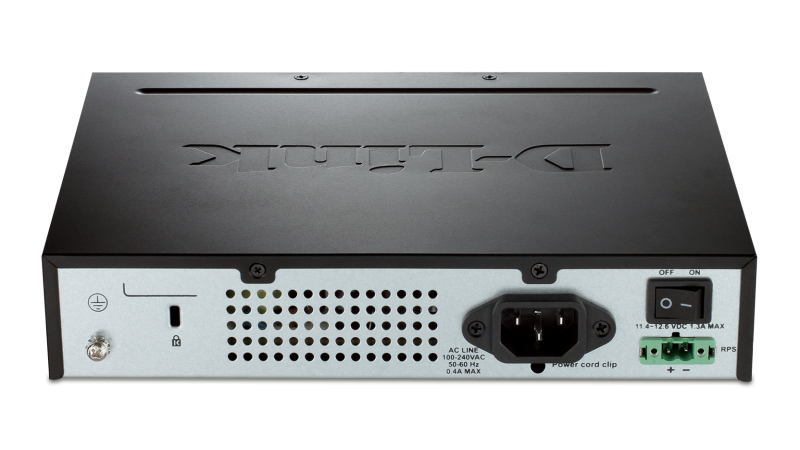 The 1U high DGS-3000-10TC can be installed almost anywhere, including desktops, equipment racks, and telecom cabinets. The smaller dimensions provide better air flow in limited spaces and also help make cable management easier. All Ethernet ports of the DGS-3000-10TC support 6kV with surge/lightning protection. This feature helps protect the switch from power surges due to lightning or poor electrical supply conditions. The switch also provides an additional power connector to connect to D-Link’s DPS-200 Redundant Power Supply, or connect to a qualified back-up power source in case of electrical power failure. For Ethernet link fail-over, the DGS-3000-10TC supports 802.1D Spanning Tree Protocol (STP), 802.1w Rapid Spanning Tree Protocol (RSTP), and 802.1s Multiple Spanning Tree Protocol (MSTP), to help automatic backup of bridge paths. To help mission critical environments, the switch also supports ITU-T G.8032 Ethernet Ring Protection Switching (ERPS); traffic can be rerouted around the ring within 50 milliseconds, to minimize disruption to service. D-Link Loopback Detection (LBD) is a loop detection function that helps prevent loop events from causing congestion in uncontrolled unmanaged network connections. The DGS-3000-10TC also supports 802.1AX and 802.3ad Link Aggregation, which allow grouping of multiple ports in parallel to increase bandwidth and redundancy for high availability and load sharing in a multi-client environment. The DGS-3000-10TC offers various user/device authentication features including 802.1X, Web-based Access Control (WAC)1 and MAC-based Access Control (MAC). The clientless WAC1 and MAC functions provides convenience for IT managers implementing user/device authentication into a network. They help administrators to control security without installing client software on each network device, which is especially important for devices on which the software cannot be installed. The DGS-3000-10TC also supports Compound Authentication1, letting IT managers choose between multiple authentication methods for any single device. Selectable host-based authentication and authorization provide the option to finely control access by each device in the network. For advanced applications, the switches also support RADIUS and TACACS accounting information for integration of backend services such as a billing system or advanced user/device control. In mission critical networks, the DGS-3000-10TC supports strict address and interface binding function via IP-MAC-Port Binding (IMPB) and ARP Spoofing Prevention to help protect the networks from Man-in-the-Middle or ARP Spoofing attacks. 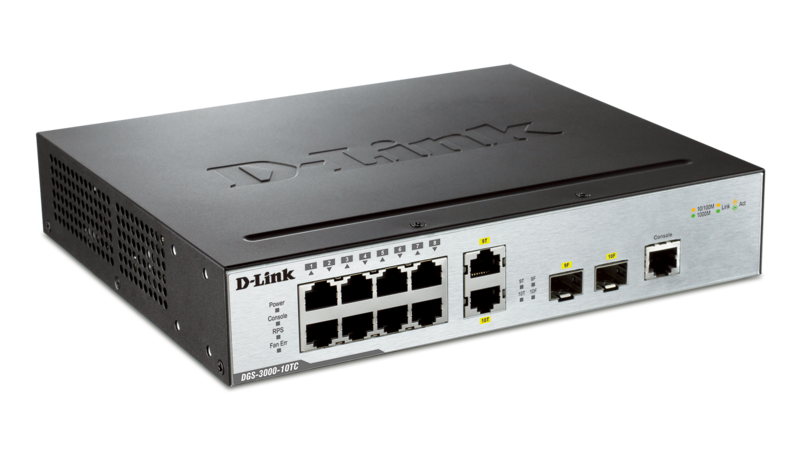 To maintain a high availability network, the DGS-3000-10TC uses D-Link Safeguard Engine to manage the CPU and help ensure that the network stays up even if it is overloaded by malicious traffic caused by worms and viruses. The switch also supports DHCP Screening to filter out unauthorized DHCP offerings from rogue DHCP servers or routers. Other security features such as BPDU Attack Protection, DoS Attack Prevention, and L3 Control Packet Filtering help to block leaks caused by protocol or behavioral security intrusions. The DGS-3000-10TC is IPv6 ready and supports various IPv6 functions such as MLD Snooping, WAC1, IPv6 ACL/QoS, and IMPBv6 to ensure seamless integration of next generation networks. The DGS-3000-10TC is certified IPv6 Ready Logo Phase 2, which ensures interoperability for IPv6 environments. The DGS-3000-10TC features rich Operations, Administration, and Management (OAM) features to allow network administrators to reduce the burden of maintenance and troubleshooting. Cable diagnostics display the status of Ethernet cables and locate the position of cable errors remotely, helping cut onsite support costs. 802.1ag Connectivity Fault Management (CFM) provides administrators with convenient tools to monitor and troubleshoot end-to-end service networks. This allows service providers to check connectivity, isolate network issues, and identify the affected customers. D-Link Unidirectional Link Detection (DULD) helps detect a broken one-way fiber connection, improving the stability of the fiber infrastructure in a Metropolitan Area Network (MAN). The DGS-3000-10TC features full L2 multicast functions, including IGMP/MLD snooping, fast leave, and filtering. With L2 multicast support, the switch is ideal for use with IPTV services. Host-based IGMP/MLD Snooping provides service to multiple IPTV subscribers per physical interface and ISM VLAN registers multicast streams in a multicast VLAN to save bandwidth on the network backbone. The ISM VLAN profiles allow users to bind or replace the channel profiles of subscription ports quickly and easily. The DGS-3000-10TC also supports IGMP authentication, which can help prevent rogue IPTV subscriptions by authenticating Set Top Boxes as well as channel switching to improve Internet Service Provider (ISP) revenues. The DGS-3000-10TC also supports advanced Quality of Service (QoS) functions to allow ISPs to reliably deliver high-quality triple play services. Flexible packet classification can be based on various header fields or user-defined packet content to help administrators prioritize network traffic. Two-rate and single-rate Three Color Marker (trTCM/srTCM) classify traffic streams into conforming and nonconforming groups to ensure the minimum bandwidth for prioritized packets. The Bandwidth Control feature allows network administrators to define the upstream/downstream throughput levels for each port with granularity down to 64 kbps. 2Use DPS-CB150-2PS for connecting DPS-200 to DGS-3000-10TC. 3Lifetime warranty available in the U.S.A. and Canada only. Visit www.dlink.com for warranty details. 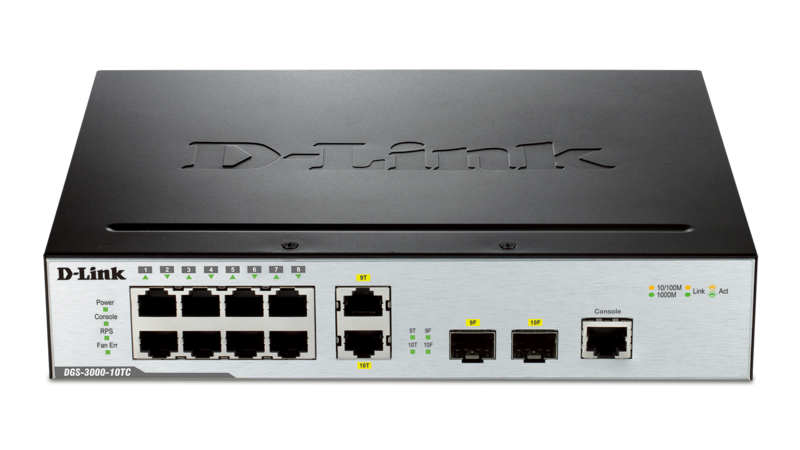 The DGS-3000-10TC is a small and compact, yet fully managed, 10-port, Layer 2 Ethernet switch. It provides wired Gigabit speed access for campus and metro networks. 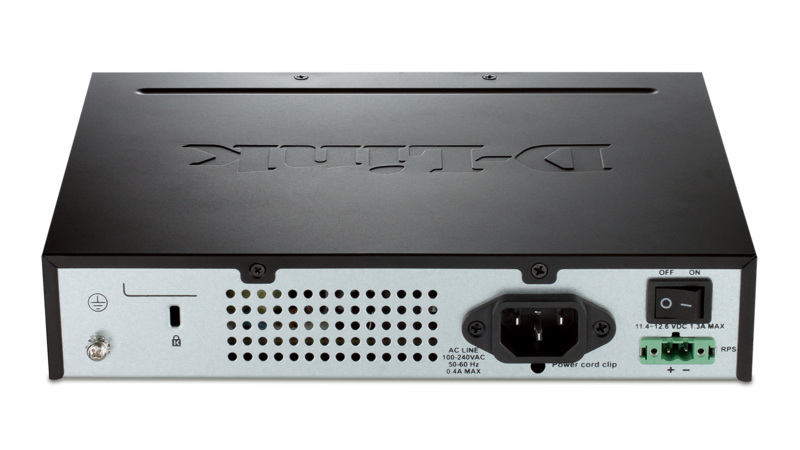 The 1U high DGS-3000-10TC can be installed almost anywhere, including desktops, equipment racks, and telecom cabinets. The smaller dimensions provide better air flow in limited spaces and also make cable management easier.